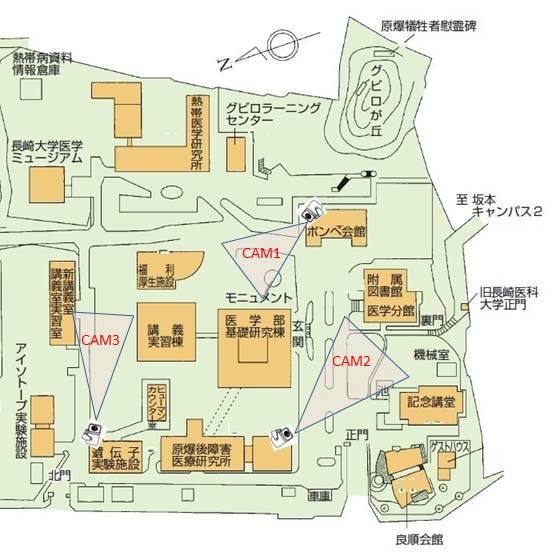 Welcome to the live webcam from Nagasaki university school of medicine . These cameras invite viewers to take daily lives in Samamoto campus. This view will be downloaded automatically every 10 sec. If not, click reload on your browser. Internal users are available to see video view to click each static view. Copyright© Nagasaki University School of Medicine All Rights Reserved.